Why People Do a Body Detox? One of the reasons that many people choose body detoxification diets is because they think that it will actually help them and their bodies: 1.) Fight off infections. 2.) Strengthen their immune systems. 3.) Give them a range of other benefits. In that case, give a try to "REISHI GANO" & "GANOCELIUM" together, in few days time, big difference will become evident. 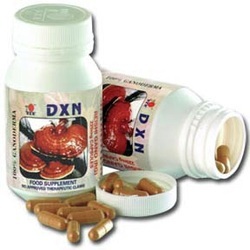 Reishi Gano (RG) is the 100% extract of a 90-day old red mushroom, Ganoderma lucidum. Containing polysaccharides adenosine, triterpenoids , protein, and fiber, it effectively assists the body in its cleansing process for improving organ system functions. Ganocelium (GL) is the 100% extract of an 18-day old mycelium of Ganoderma lucidum. The mycelium is rich in polysaccharides, organic germanium, vitamins, and minerals. It has excellent effect in improving general well being. 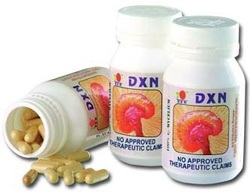 It helps attain organ system equilibrium and promotes the body's healing capabilities. 1.) In order to avail of our discounted price, you are requested to accomplish a membership form which can be downloaded from this site in different formats ( MS Word; PDF; JPEG) for you to choose. 2.) 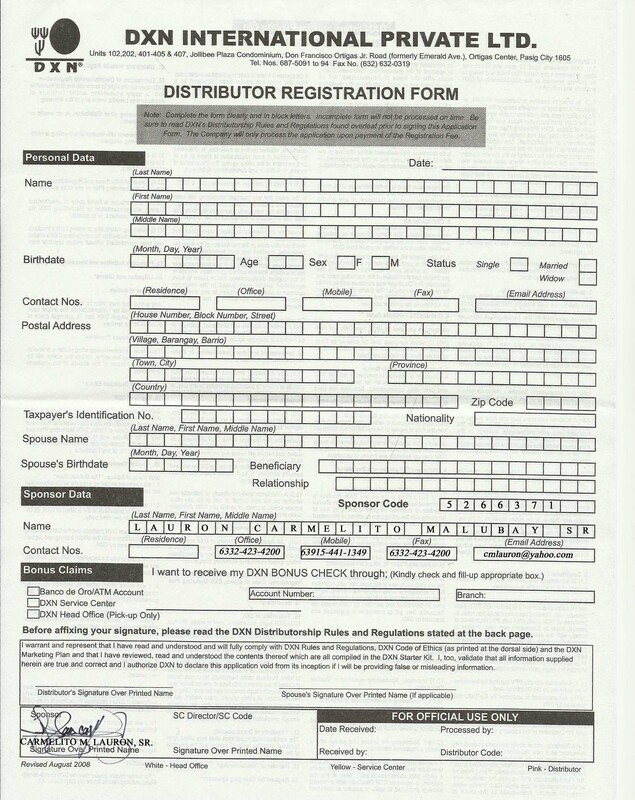 After you printed it and accomplished, submit it to any DXN International Office in your country. For more products . . . 2.) for Other countries. .
. . . for other concern just type it inside the "comments" box.
. . . abangan . . .